Need to make a lasting impression? Choose from our selection of flower arrangements below. We guarantee the WOW factor! Are you looking for a chic, sophisticated, elegant way to express your emotions and send your love to someone special? When someone means the world to you, you want to give them the world. 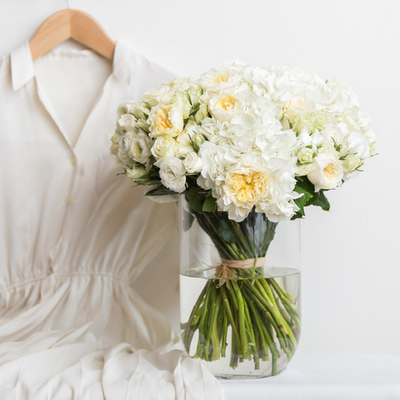 Whether it's for an anniversary, birthday, graduation, work achievement, or just because, nothing says "I love you" with as much style as a stunning luxury flower bouquet. When you're looking for expensive flowers with an elegant touch but a modern edge, Ode à la Rose is the perfect place to turn. Specializing in high-end, handcrafted flower arrangements of the freshest blooms and most unique, eye-catching designs, we're experts in arranging expensive flower bouquets for every occasion. Offering chic and elegant arrangements with a signature French flair, we know what makes bouquets stand out to make a priceless statement. When you're looking for floral arrangements with superior style and chic class, our luxury flower bouquets provide that breathtaking element to impress your loved one. Offering that "wow" factor with bouquets of 50, 75, or 100 perfectly arranged roses or other high-end blooms, our arrangements ensure your recipient feels treasured and pampered with just the right balance of simply sophisticated and elegantly extravagant. Choose from pink, red or white in our tasteful Amour bouquets of roses or break from tradition by selecting our elegant Patience bouquet or assorted Garden Tin Pail arrangement. When you choose our flowers over $150, any choice is the right one to take that special someone's breath away. With a unique passion for style and an inspiring ability to express beauty in every bloom, Ode à la Rose is dedicated to building on the French artisan tradition of chic, sophisticated flower arrangements that have something to say — and we add our own modern touch to each bouquet. With every stem and petal, we seize the opportunity to show you quality, professionalism, passion, and personalization unique to our French florist company. 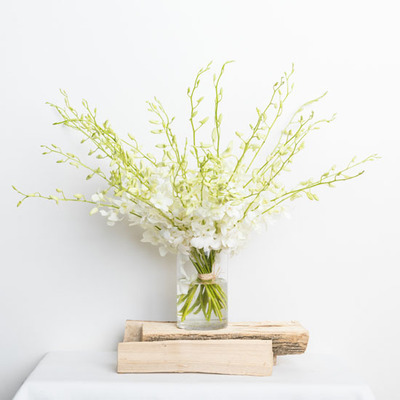 In every entrancing arrangement, we use only the highest-quality, freshest flowers sourced from the world's top flower farms and quality-controlled using our stringent methods. With care and artistry, our talented floral designers handcraft and hand-tie each bouquet, then arrange them in a keepsake vase with water. We'll then deliver it to your loved one's address, complete with your choice of personal note or photo, detailed flower care instructions, and our chic, signature purple box. 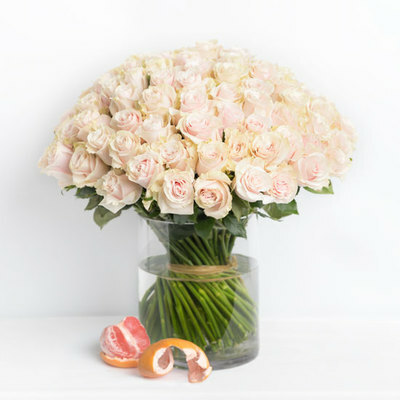 Best of all, your luxury flower bouquet will arrive the day you place your order with Ode à la Rose. Love is priceless, and there's no limit to what that special someone deserves. Show them what they're worth when you order one of our high-end flower arrangements today, only at Ode à la Rose.